Alcohol. Pills. Cigarettes. Marijuana. Heroin. These are just a few of the many substances upon which people can become dependent. Clearly, we can see Satan continuing his efforts to lead believers astray, which seems to be getting easier while living in a world that seems to glamorize instant gratification and “feeling good.” This presentation will focus on some of the most prevalent forms of addiction and share warning signs of when an individual is losing control. In addition, we will discuss valuable resources and practical strategies to help individuals struggling with an addiction. DR. BRANDON HAYES Dr. Hayes joined Christian Family Solutions in 2006. He received his PhD in Clinical Psychology from UW-Milwaukee and completed his undergraduate degree in Psychology at UW-Green Bay. Prior to joining Christian Family Solutions, Dr. Hayes completed an internship at the Minneapolis Veterans Affairs Medical Center, specializing in treating clients with addictions and post-traumatic stress disorder. In addition to his clinical work, Dr. Hayes has also served as an adjunct instructor at UW-Milwaukee and Wisconsin Lutheran College. His research on the factors influencing alcohol consumption among college students has been presented regionally and nationally. He is a member of the American Psychological Association. DR. JOSHUA MEARS Dr. Mears joined Christian Family Solutions in 2011. He received his Psy.D. in Clinical Psychology from Argosy University-Twin Cities, an MA degree in Counseling Psychology from Bethel University and his undergraduate degree in Psychology from Bethany Lutheran College. 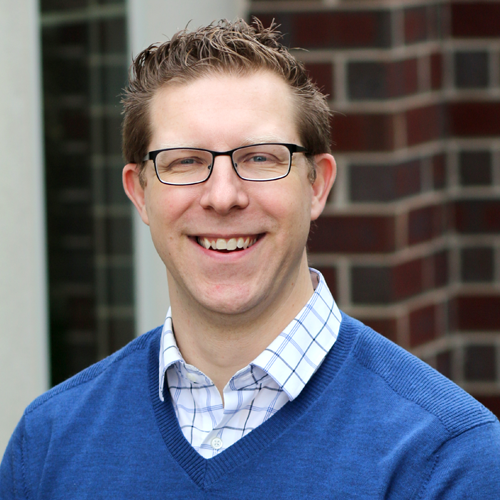 Prior to joining Christian Family Solutions, Dr. Mears completed his doctoral internship at the Minnesota Correctional Facility-Stillwater, specializing in crisis intervention, substance abuse concerns, and aggression reduction interventions. During his time with CFS Dr. Mears has experience as the program director for the Mankato Dual Diagnosis program specializing in treating co-occurring mental health and chemical dependency concerns. Dr. Mears also works extensively with behavioral addictions for those that struggle with sexual compulsions. Hey friends! My name is Julie Karbula and I love Jesus, coffee, and living a healthy life. I am a 40 year old former teacher turned teacher’s aide, a wife to Nick, and mom to Taylor (15), Maya (13), Ella (12), and Riggins (9). I moonlight as an online health and fitness coach, and from that hobby blossomed my social media platform, “Fueled by Faith and Fitness.” I use “fitness as my witness” to encourage and share Jesus with others. That has turned into a place where I share my daily life as a busy mom, and how facing each new challenge is only possible when we look to our God for the guidance, strength, support, comfort and true peace we can only find in Him. By God’s grace we are never alone! I can’t wait to meet you! Before the local church existed, it was just the family church. From the beginning, God purposed human relationships to thrive within the context of the family, with God at the center of it all. Built on the foundation of Jesus Christ, a sustainable congregational ministry derives its strength from the health of the family. When one man in relationship with Jesus, marries one woman in relationship with Jesus, that new family becomes the smallest example of “the Body or Christ”. A child’s first and deepest experience with what it means to be part of the “Church” is within the family context, and their first and most significant Pastor is Dad and Mom. In this session we will help define the body of Christ within the context of the family, give biblical encouragement to the role of Parent Pastor, and express a vision for worship and vibrant ministry at home. Since 2007, Mike’s heart has beat for the spiritual well being of young adults and the sustainability of the local church. With a ministry anchored in the stories of God’s faithfulness and pursing what Jesus called “Life to the Full”, Mike’s focus has increasingly been to encourage the local church through what he calls “Accessible Worship” and by helping build up the “The Family Church”. Working with the leadership of his home congregation at St. Paul’s Muskego, Mike was part of a team that developed a comprehensive sermon series and set of resources to help the people of St. Paul’s recommit to the Family Church. A meteorologist, young adult ministry leader and Christian artist from Milwaukee, WI Mike is a member of the ministry team at St. Paul's Muskego. He married his wife Melissa in 1997 and together has three children. Screens are consuming a significant part of our lives and families. We have screens in our pockets, on our wrists, on our walls, on our desks and seemingly always have 1 if not multiple screens constantly in front of us. Avoiding screens is next to impossible, but it is possible for us to manage our screen time with social media and technology with a bit of intentionality. In this session we will discuss the good, the bad and the ugly in our digital environments and how we can effectively embrace them in our families without letting them consume our families.